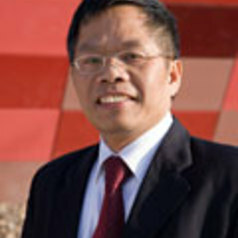 After completing his PhD in Economics from the University of Manchester in 1989, Shujie Yao worked at the Universities of Oxford, Portsmouth and Middlesex as research fellow, lecturer, Professor and Head of Economics Department before joining The University of Nottingham as Professor of Economics and Chinese Sustainable Development in August 2006. Subsequently appointed as the first Head of the School of Contemporary Chinese Studies at Nottingham in January 2007, Prof. Yao is an expert on economic development in China. He has published 11 research monographs, edited books, as well as produced more than 90 refereed journal articles. He was ranked eighth among the world's China scholars specialising in the study of the Chinese economy in a recent article published in the Journal of Asian Economic Literature. Professor Yao has published widely in many top economics and development journals in the world, including the Journal of Political Economy, Journal of Comparative Economics, Economic Development and Cultural Change, World Economy, China Quarterly, and the Journal of Development Studies, China Economic Review, among others. He is founding editor of Journal of Chinese Economic and Business Studies, chief economics editor of Xi'an Jiaotong University Journal (Social Sciences), editorial member of Journal of Comparative Economics （2006-2010), Food Policy (1992-2011) and Journal of Contemporary China (from 2010). Prof. Yao is also coordinator of the China and the World Economy programme at the Globalisation and Economic Policy Centre at Nottingham and special chair professor of economics of Xi'an Jioatong University. He has had a wide range of consultancy experience with major organisations including the UNDP, FAO, World Bank, ADB, DFID, EU and the UNCDF, working in many less developed and transitional economies in Africa, Asia and Eastern Europe.